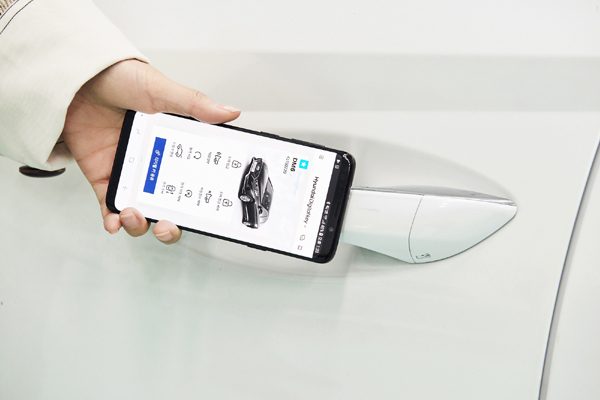 Hyundai, a leading automotive manufacturer, has announced plans to introduce a new ‘digital key’ technology on future models, allowing drivers to unlock and start their car via a smartphone. Selected new cars will start offering the technology during 2019. Users will download the digital key as an app, with each car allowing up to four authorized devices, said a statement. The system uses highly secure near field communication (NFC) technology, with antennas fitted in the front door handles and in a wireless charging pad inside the car. Users unlock the car by bringing an authorized smartphone close to the door, then start the car by placing it on the charging pad and pressing a start/stop button, it said. As well as offering convenience for drivers, the new technology also recognises the changing nature of mobility and car ownership, such as the growing popularity of car-sharing schemes. Once car-sharing becomes more widespread, the digital key will be further programmed to support hassle-free vehicle rental, so the owner and driver can share a key without needing to meet in person. NFC is a form of Radio Frequency Identification with high levels of security, data transmission only taking place when the device and reader are no more than a few centimetres apart. It is the same technology used for contactless payments via a smartphone. Hyundai has also outlined plans to be the first car company to introduce smart fingerprint technology that allows drivers to unlock and start the car.